Recently, I presented a talk to my local LUG (Lego Users Group) about LEGO landscaping techniques. As part of the talk, I put together several different landscapes (to come in the next blog post) and a group of various LEGO trees so that the LUG members could get a hands-on look at various building techniques. 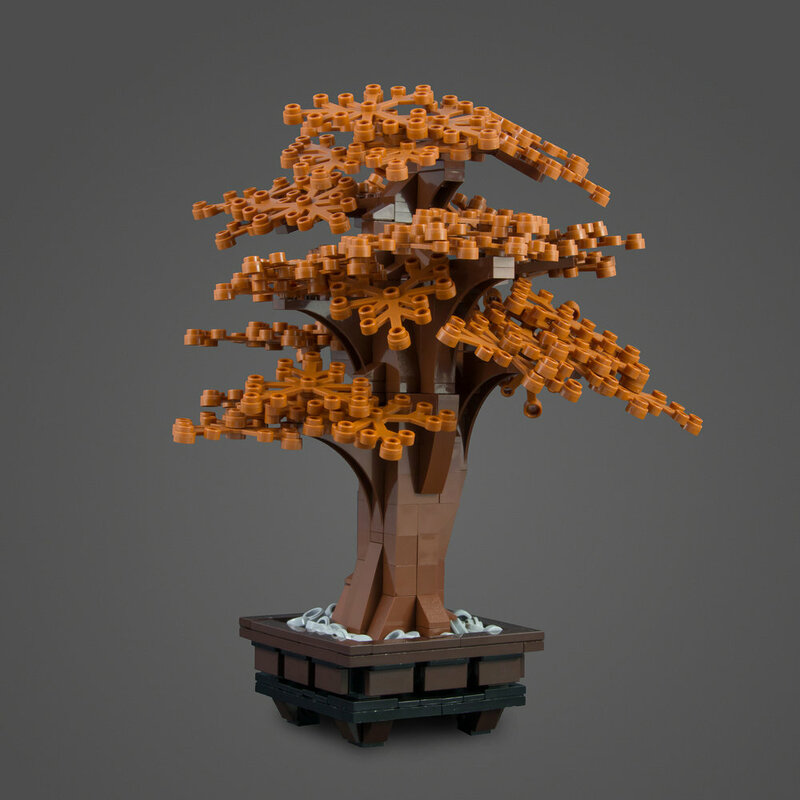 The first of these trees is classic LEGO form, with a reddish-brown trunk and dark orange leaves. Various clips and bar connections are used to give the leaves slight angles, which create a more interesting shape than if they were attached at right angles. I also experimented with building a pine tree, using offset 8-sided bar holders as the central stem. It's probably my least favorite out of the various trees, but I've always found pine trees to be the most difficult ones to build in LEGO. For something different, I also built a mangrove tree. The mangrove tree was made using a combination of flex tube, clips, whips and other brown pieces to create a spindly trunk. Lastly, I experimented using chain pieces twisted around a central stem to create the texture of bark. While not the most stable tree in the world, I was pleased with how the chains curled upwards around the stem. Do you have a favorite tree, or any tree building techniques you'd like to share? Let me know in the comments!